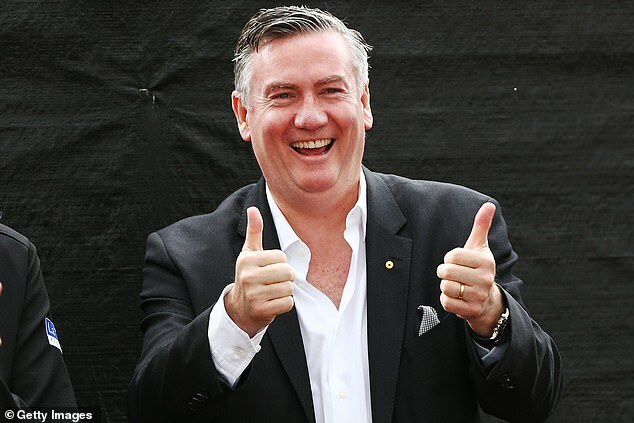 Embattled TV personality Eddie McGuire has once again apologised over his insulting comments following a coin toss from a double amputee. 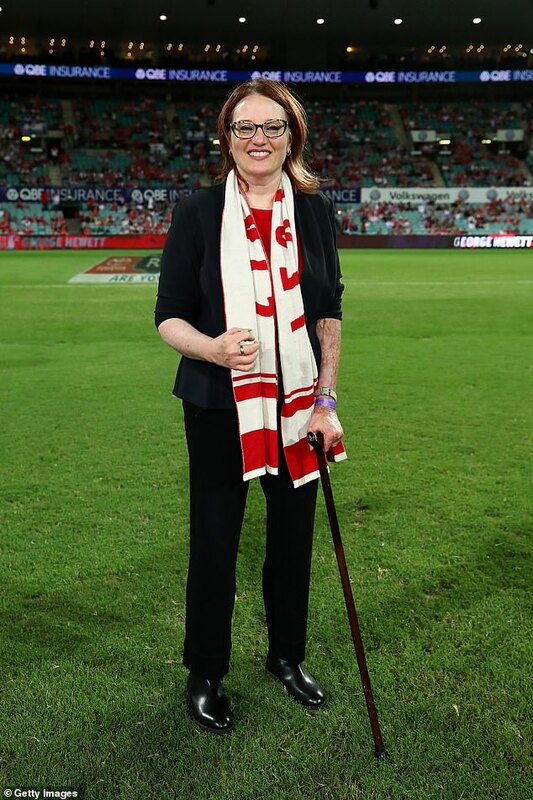 The Hot Breakfast co-host took to Triple M radio this morning to air his apologies to Cynthia Banham following his comments during an AFL match at the Sydney Cricket Ground last Friday night. 'I'm so sorry, I'm profoundly sorry, I've apologised unreservedly and at the appropriate time, I hope to get the chance to do so personally,' he said. Ms Banham had both legs amputated after a horror plane crash in 2007 that killed 21 others. 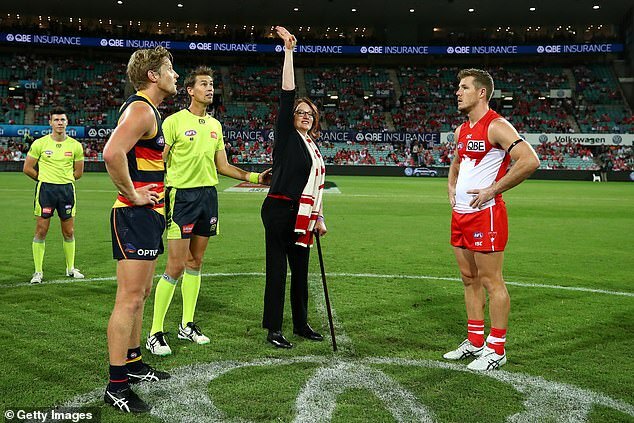 As ambassador to the Sydney Swans, the former journalist was chosen for the coin toss in the lead-up to the team's clash with the Adelaide Crows on the weekend. Holding a walking stick in one hand and a coin in the other she threw the change into the air. Though McGuire was quick to criticise the throw, and suggested a $5,000 fine should be applied to anyone who can't 'do it properly'. McGuire - who is presenter at Fox Footy and president of Collingwood Football Club - said he was not looking at the monitor and had no idea who was doing the coin toss at the time. 'Out of the corner of my eye I saw the coin flick out and I went off on a tangent of jocularity,' McGuire said on Monday. 'It was completely just an unfortunate sequence of events, but I own them. There was no problem with producers or anyone in the studio or co-hosts, this was solely me. 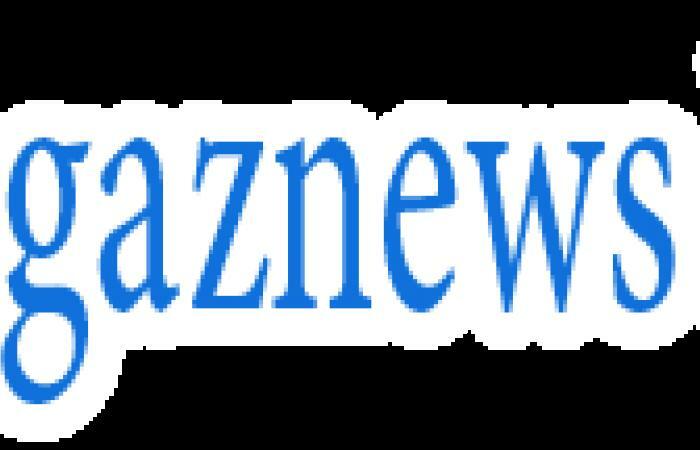 McGuire first apologised for his gaffe halfway through the match on Friday stood down from TV commitments over the weekend as a gesture of goodwill.